…but probably not for long. Yet for the first time since 2008, and only the third time since 2000, Riesling was not the grape of the NY Governor’s Cup winner (i.e. the “Best in Show) at the New York Wine and Food Classic on August 11-12, 2015. The winning wine was Ventosa Vineyards 2011 Lemberger, a peppery Austro-Germanic red grape (also known as Blaufränkisch), which does well in New York’s cool climates, especially in the Finger Lakes, where Ventosa is located (Seneca Lake). It was also voted Best Red Wine and Best Lemberger on its way to the ultimate award. This qualifies as an upset, given the traditional Riesling/white wine dominance of the Cup! Rest assured, however, that Riesling wasn’t far from the winner’s circle. In fact, Paumanok Vineyards (Long Island) won Best White Wine and Best Overall Riesling for its 2014 Semi-dry Riesling, on its way to the Winery of the Year award, (along with several other top medals). 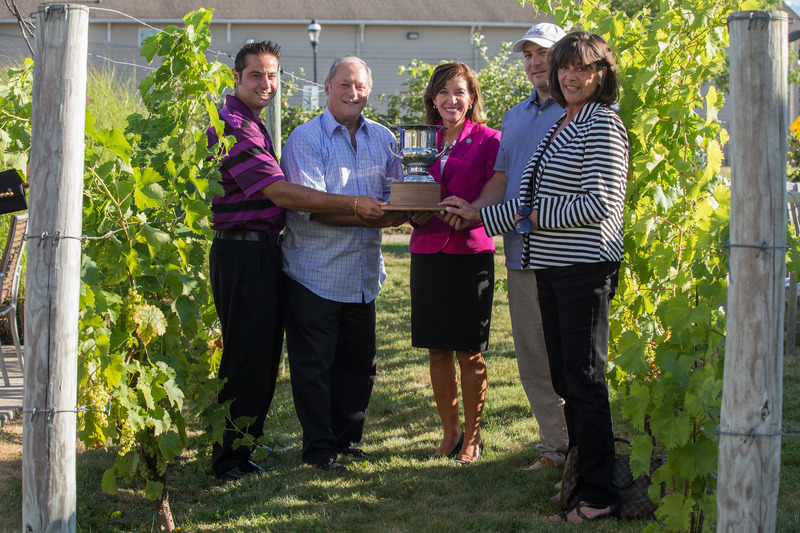 Sheldrake Point Winery won Best Dessert Wine for its 2014 Riesling Ice Wine. And the “Best Limited Production Wine” award, for wines produced with fewer than 100 cases, also went to a Riesling — Young Sommer Winery’s Riesling-Dry, Bernard Vineyard. Speaking of Riesling, for the first time ever, the Hudson Valley scored a Double Gold for Riesling (made from local HV fruit, that is) via Millbrook’s 2014 Dry Riesling Proprietor’s Special Reserve. Over a quarter of the 68 Double Gold and 80 Gold medal winners of the Classic were Riesling varitetal wines, making Riesling by far the leading grape among this august group of winners. Known as “the Oscars” of the New York wine industry, this year’s Classic included 858 New York wines, 20 Hard Ciders and 32 Craft Spirits from several regions across New York State, including Long Island, Hudson Valley, Finger Lakes, Niagara Escarpment and Lake Erie. Riesling has (deservedly) become a signature grape for New York State and, in particular, the Finger Lakes, exhibiting world-class quality over time, underpinned by numerous medals, awards and accolades from international wine competitions and wine publications, as well as a burgeoning wine/craft beverage tourism in New York State. Lack of national distribution for these often smaller production wines is still a big hurdle, but things are slowly improving in this regard. The Ventosa Lemberger actually is the first red wine to win the Governor’s Cup since 1999 (and only the fourth to win the Cup since the competition began in 1985). But that’s more a reflection of the quality of New York Rieslings than a knock against New York red wines. 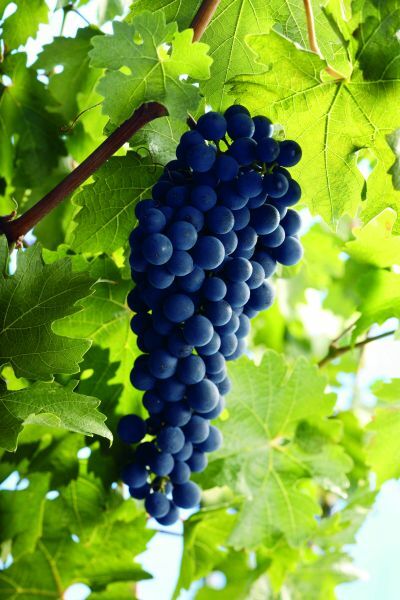 In fact, Long Island, with its moderate winters and Bordeaux-like climate, is known for its reds, especially its Merlot and Cabernet Franc (and Meritage blends). On the Niagara Escarpment, in the Hudson Valley and in the Finger Lakes, Pinot Noir and Cabernet Franc-based wines show very well in good vintages, too. Ironically, Lemberger, like Riesling, has Germanic origins, and is an “it” red grape in Austria; New York might follow suit after Ventosa’s triumph, which is all the more impressive, because the 2011 vintage in the Finger Lakes was one of the wettest, most challenging growing seasons in recent memory. Obviously, some skillful winemaking took place. For the complete results of this year’s Classic, click here (and scroll down). A toast to NY wines! This entry was posted in NY craft beverages, Wine and tagged 2015 New York Wine & Food Classic, Finger Lakes, Finger Lakes Riesling, Lemberger, Millbrook Vineyards and Winery, New York wines, NY Governor's Cup, Paumanok Vineyards, Riesling, Ventosa Vineyards. Bookmark the permalink.